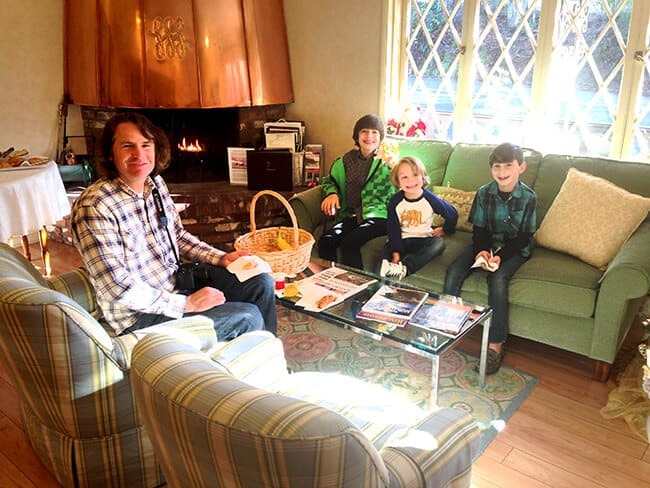 a few weeks ago, we packed up the boys and headed for a road trip from Orange County to the beloved town of Carmel-by-the-Sea which is located on the scenic coast of Central California about 2 hours south of San Francisco. it took about 8 hours with LA traffic and down pouring rain to finally reach our destination hotel in Carmel, the Hofsas House, but the drive was nice and scenic. we arrived a bit later than we expected, but were welcomed with warm hospitality and felt like we had arrived at our favorite great aunts home. the Hofsas House would be considered a boutique hotel. 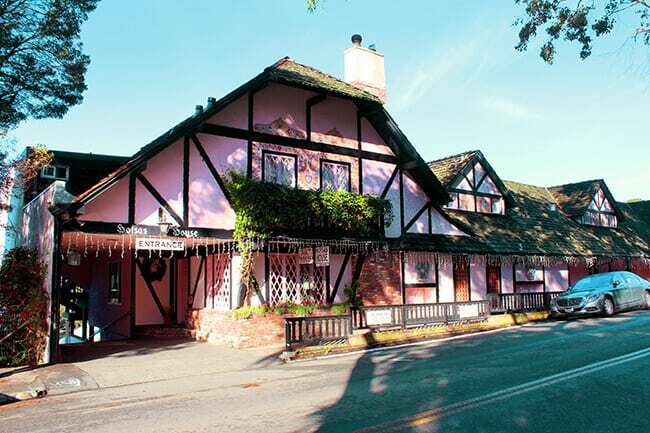 it has German European architecture and showcases 38 spacious Bavarian inspired rooms that have a quaint vintage cottage feel. 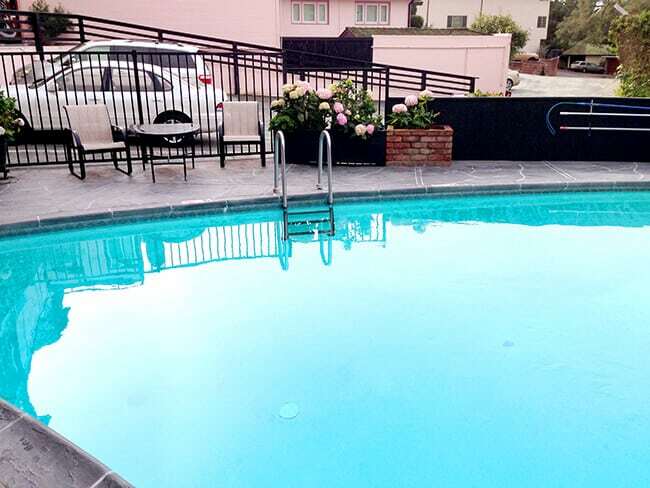 it is located in the heart of Carmel within walking distance to central Carmel between 3rd & 4th streets. 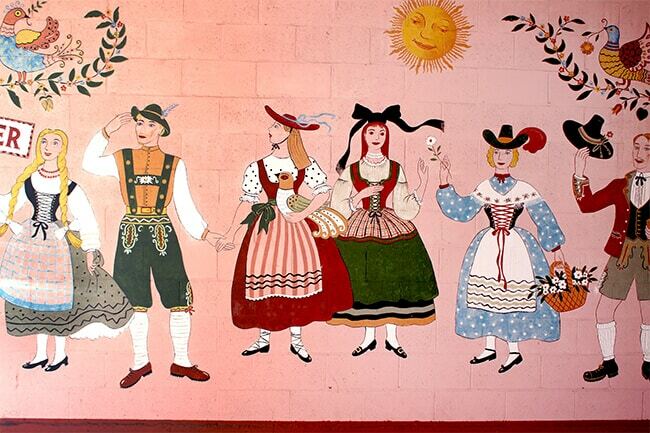 it is family-friendly and pet-friendly. we chose to stay in one of the Hofsas House Family Suites. this was awesome because the kids got their own room and bathroom. 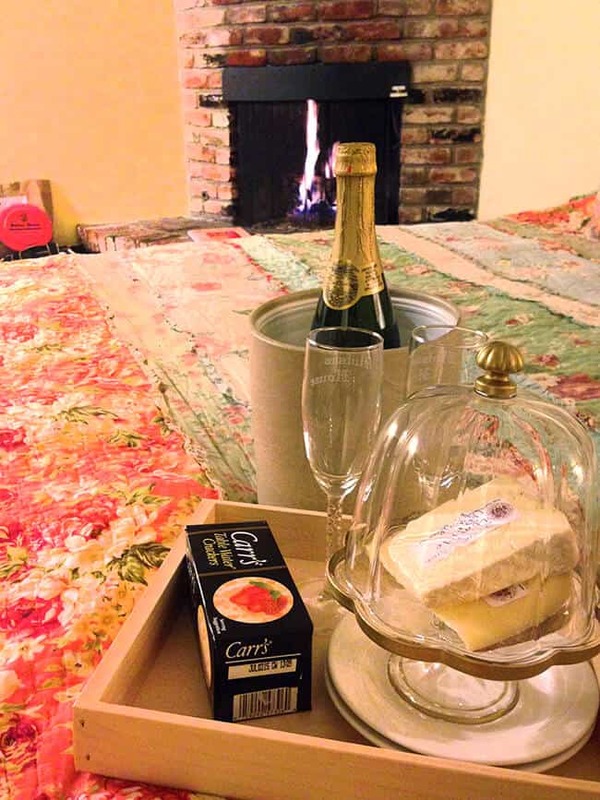 our package included a wine (we chose sparkling cider) and cheese welcome, which was enjoyed by our in-room fire place that made the room cozy and warm. accommodations at the Hosas House are homey. 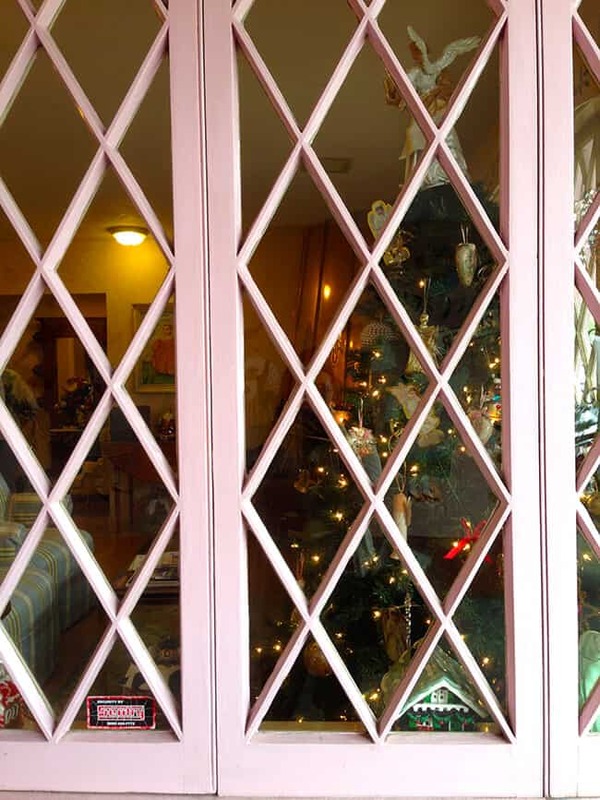 you feel like you area staying at you great aunts home. 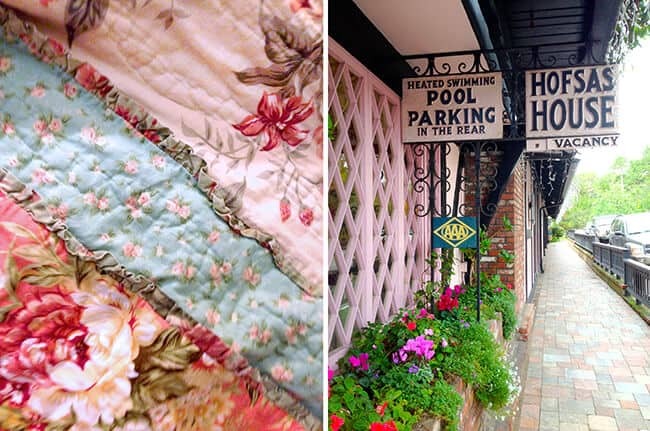 the style mimics the outside of the hotel, quaint with vintage charm. the family suite is furnished with two queen beds and a king sized bed. 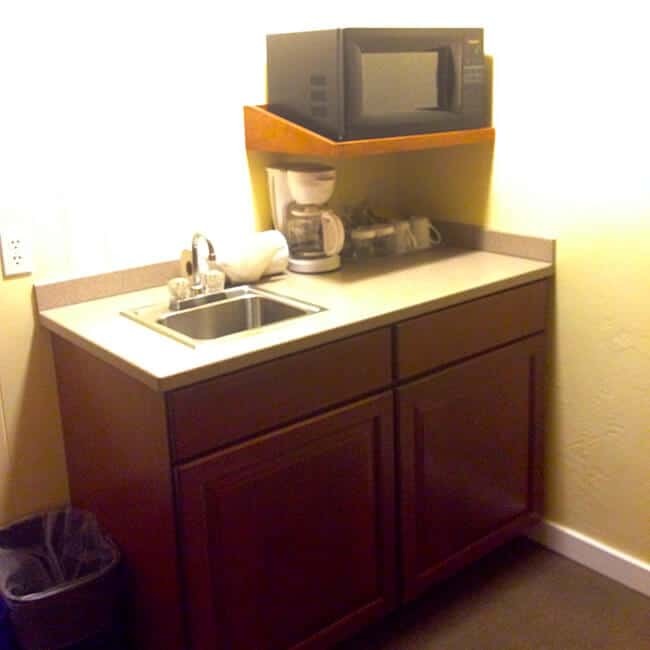 it is also fairly roomy with two bathrooms and a kitchenette. free wifi and cable are also included. 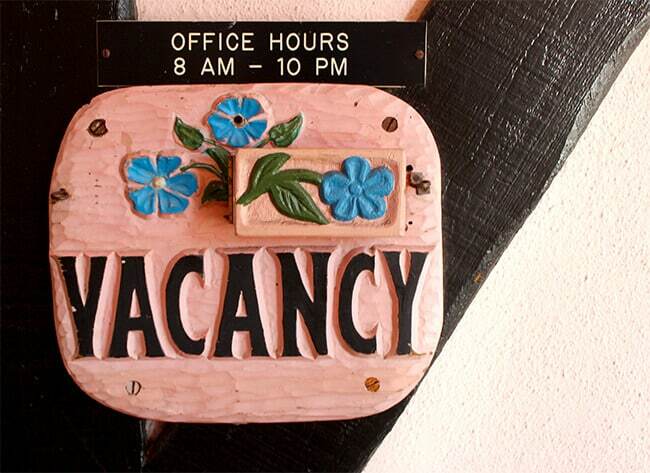 European details are found throughout the hotel. 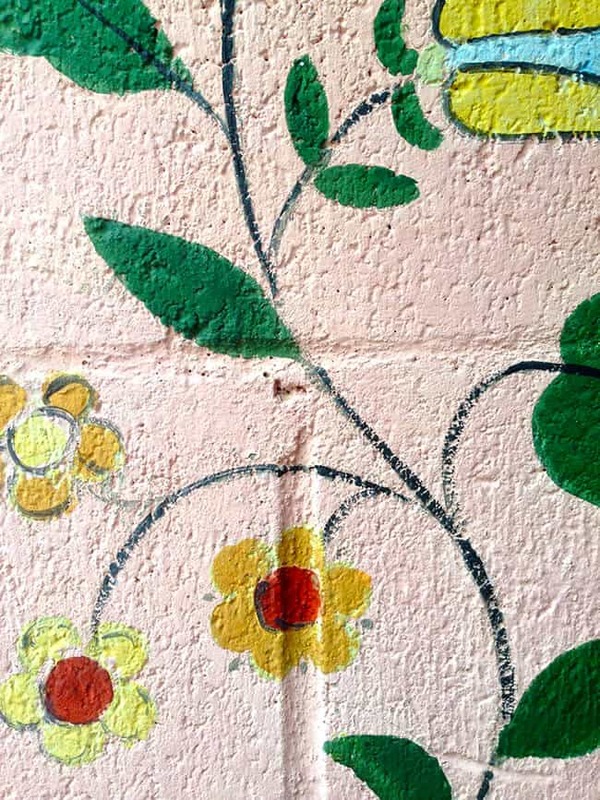 from the decor, to the architecture…. 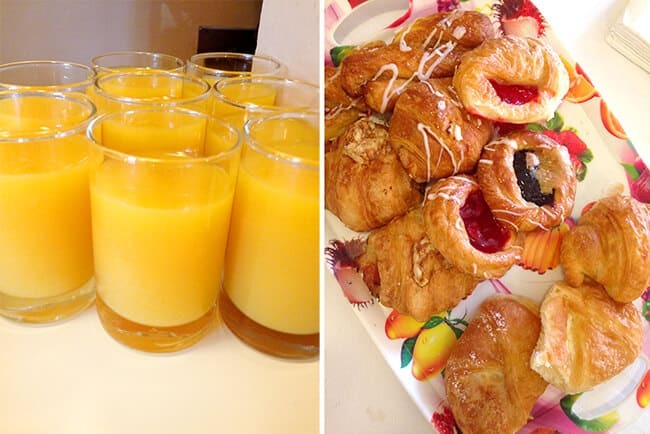 a continental breakfast is served every morning at the Hofsas House, a perfect amenity for family travel. 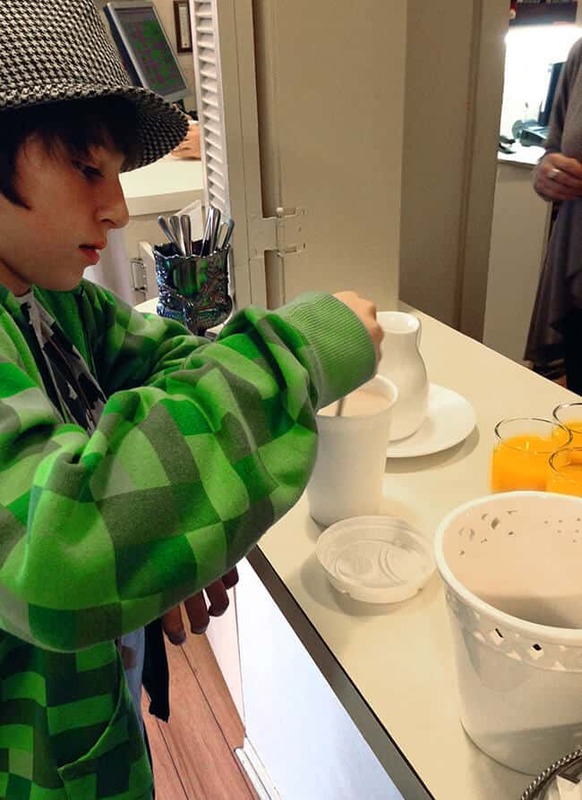 the family can grab a quick breakfast on your way to enjoy all that Carmel has to offer. 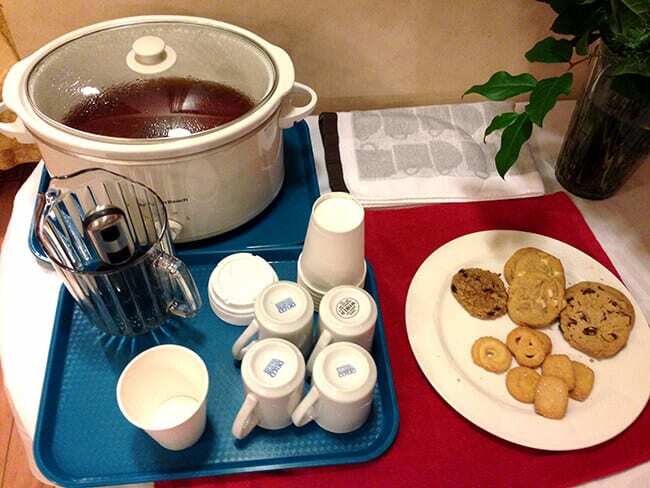 you can request freshly brewed coffee, tea, juice and even hot chocolate. a nice assortment of local bakery-made danishes, yogurt and fruit make a nice start for the morning. 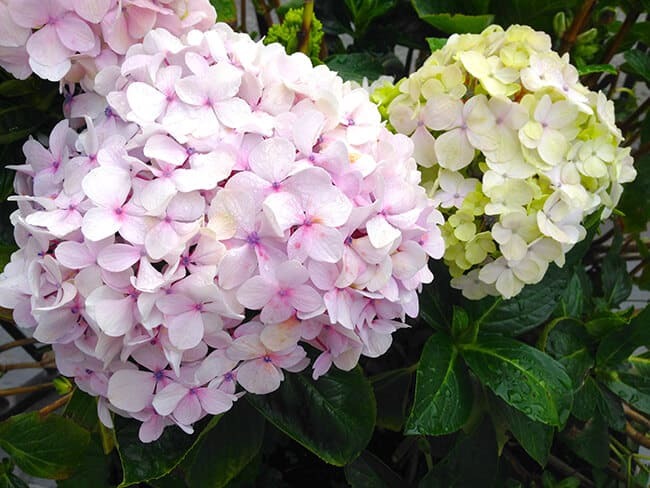 there are lots of great things to do in Carmel which i will write about in separate posts, from wine tours, to strolling and shopping in the charming town, to hiking at Point Lobos Preserve, driving the 17-mile scenic drive, heading up to Monterey or just swimming in the Hofsas House Pool. it is heated all year long for your enjoyment. and if you are heading out to one of the excursions mentioned above, make sure to stop by the front office. they can provide you with maps, and unique information to make your trip more enjoyable. you can also check out binoculars, flashlights, sand toys, frisbees and even blankets. 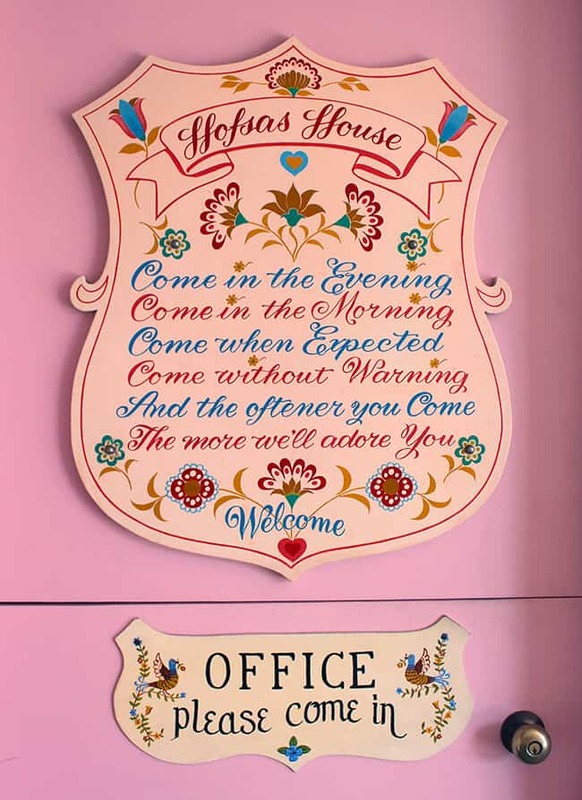 after a day of fun, in the evenings, you can stop by the Hofsas House office and grab a warm snack like a cup of coffee, apple cider or a cookie…or two! take it to-go to enjoy while taking a stroll in town or relax by the copper fireplace and chat with other travelers. 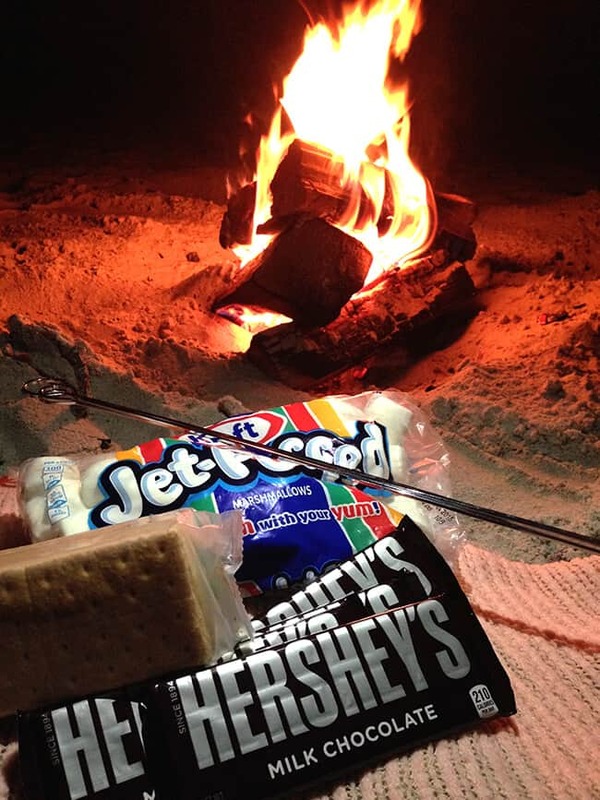 one of the options that you can choose to purchase at the Hofsas House is a Beach Fire & S’mores Package. it comes complete with firewood, newspaper, matches, everything you need to make s’mores including roasting sticks, and a couple of blankets. you can then take it and head to one of the designated beaches along the Carmel coast. 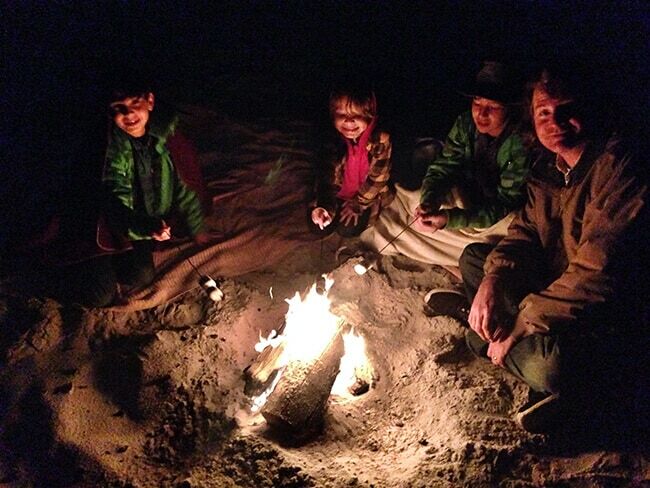 you are allowed to build a fire anywhere you would like along the beach…and it is an experience you won’t want to miss. the beaches are quiet and magical. imagine sitting cuddled up to your loved ones by a fire, listening to the crashing waves. we had the entire beach to ourselves. this had to be one of our favorite experiences in Carmel. the Hofsas House has been owned and run by the Theis family for over 60 years. 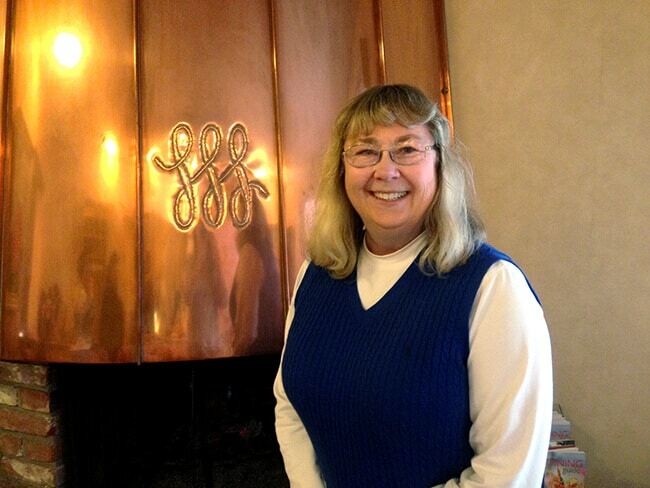 the staff and owner Carrie, makes your stay homey and enjoyable. they’re very helpful with everything thing you need. this is the owner, Carrie. her mother was the original owner of the hotel. i loved hearing about the origins of the hotel, her mother, and all about her passion of running a boutique hotel. we would definitely stay at the Hofsas House again. 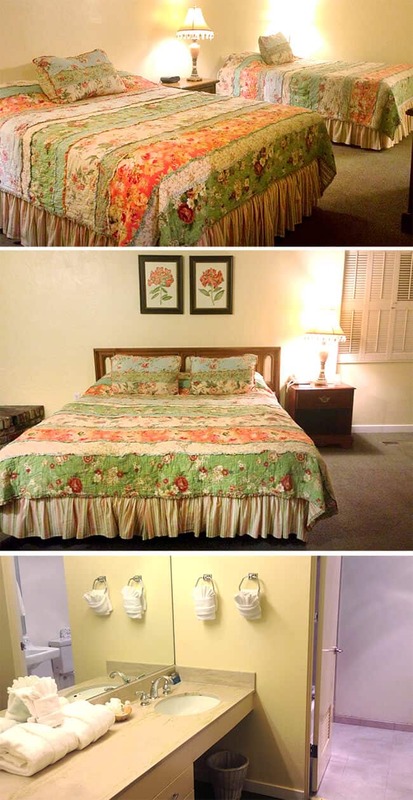 the family suites are a big plus with a family because it is nice to have a separate room from the children. 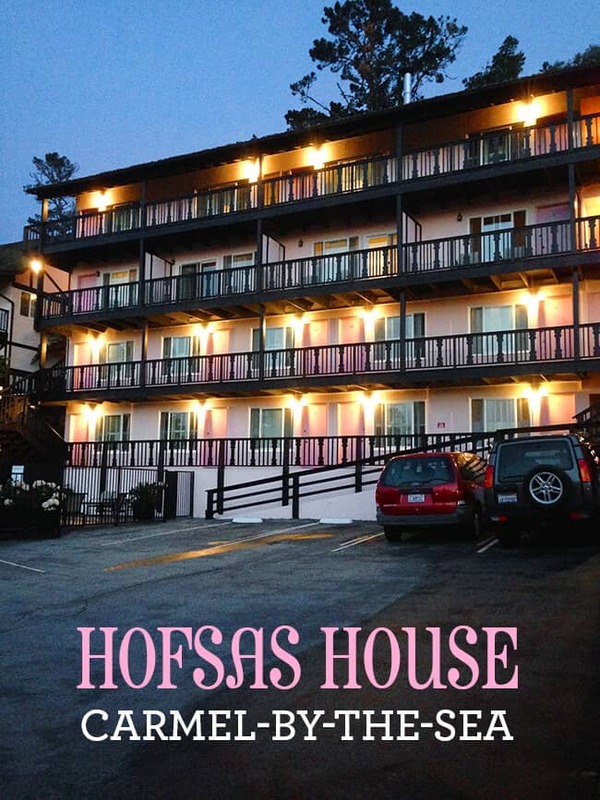 also, the staff at the Hofsas House made us feel like family…and we enjoyed their company. Carmel-by-the-Sea is a very special town. the feel, the architecture, the people, the nature. it is a place you want to visit again and again. for more information about or to make reservations at the Hofsas House in Carmel, visit their website.